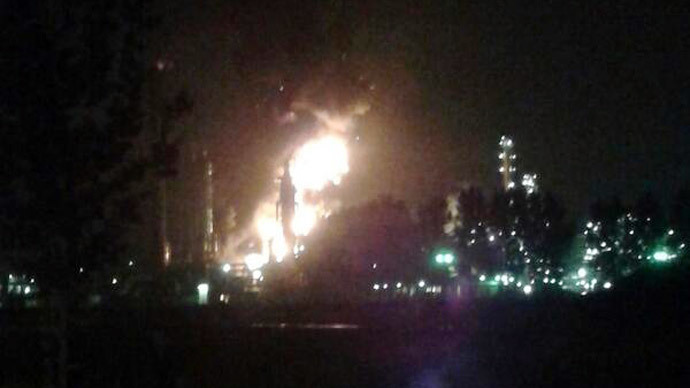 A massive explosion, seen from miles away, has occurred at a Shell production plant in Moerdijk, Netherlands. Two “enormously loud bangs” were reported by bystanders. 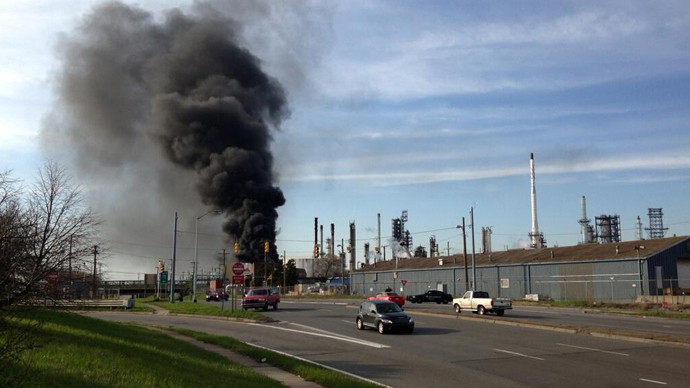 There are currently no plans to evacuate the area around the factory, Omroep Brabant reports. Fire crews are currently working at the scene. The fire is "manageable" but not yet contained, according to the Central and West-Brabant Safety Region. 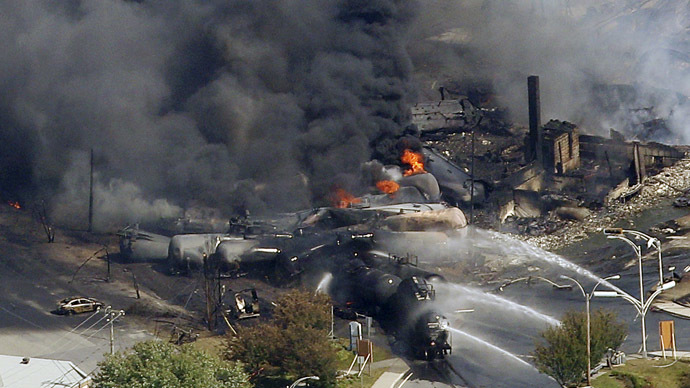 All personnel are accounted for, according to Shell, but several people suffered minor injuries. It is not yet known exactly what chemical caused the fire but it may be ethylbenzene or methylbenzene, according to local media. The fire started during a shift change, according to Marieke van Wijk of the Safety Mid and West Brabant. "The blaze is pretty intense," said van Wijk. A Shell spokesman on the way to Moerdijk told BBC there were two priorities for the company: ensure the safety of the people and minimize environmental damage as a result of the explostion. 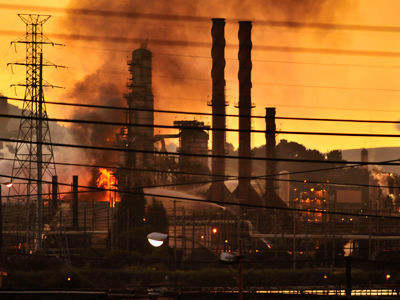 It not the first time a blaze has engulfed the industrial park in Moerdijk. 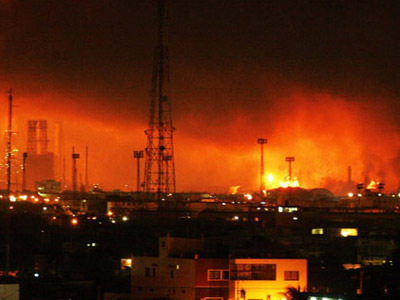 Back in 2011, a fire broke out at Chemiepack, which handles hazardous chemicals, on the opposite end of the same industrial park, completely razing the facilities.